And as an antidote to my last post, here’s the real thing. This splendid Tarleton of the Leeds Volunteer Cavalry, raised in 1797 and disbanded in 1811, survives in the collection of York Castle Museum, along with a guidon and two jackets of the same troop – or rather, two troops by 1803. There’s an image of this helmet on the York Museums Trust site, but it’s blurry beyond usefulness, so here are two better, courtesy of the Trust. 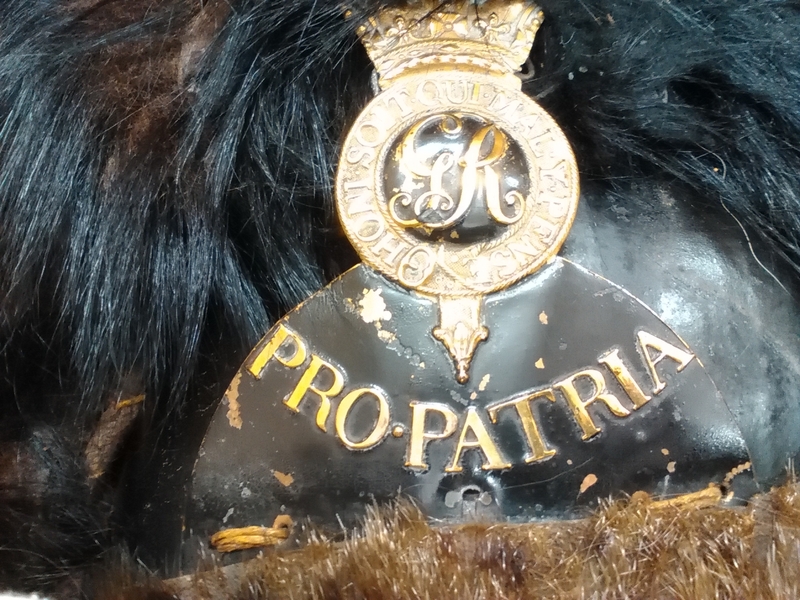 Interestingly, exactly the same badge and motto, but in white metal, appear on the Tarleton worn at the time by the West Riding Yeomanry, as clearly shown in a fine portrait at Rotherham of Henry Walker of the Southern Regiment at some point post-1803. I’ve excerpted Walker’s Tarleton at the left, but the whole image can be seen here, on the BBC Your Paintings site. 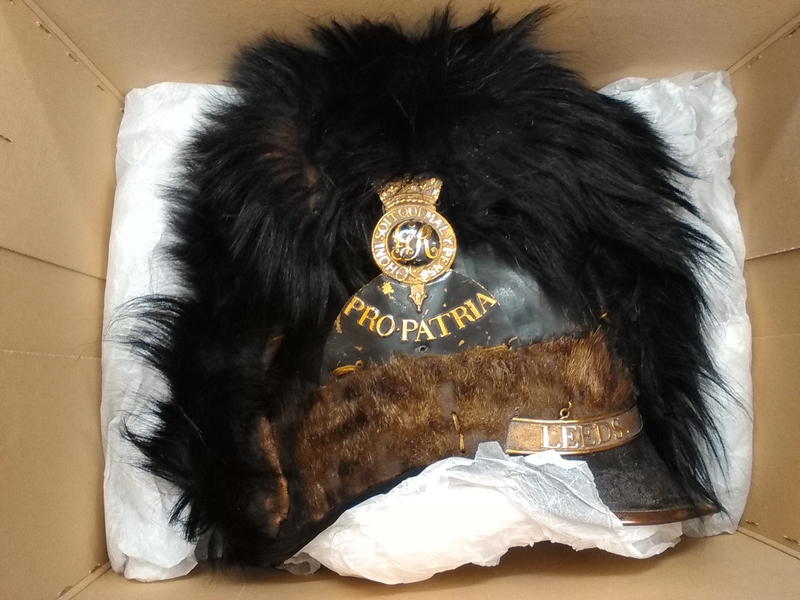 The motto had been adopted by the Yeomanry in 1795, and their helmets were supplied by Hawkes of London, so that the Leeds helmet may be by the same maker.